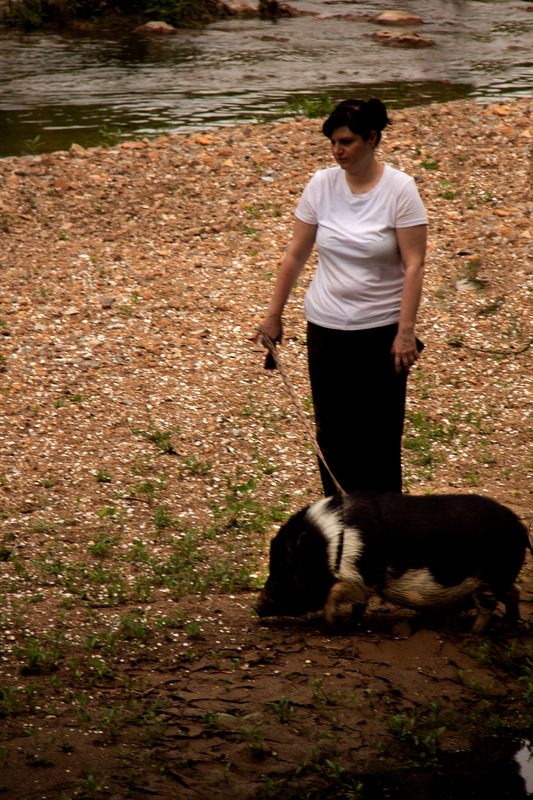 I was sitting on the deck of a restaurant overlooking the Conestoga River near Lancaster Pennsylvania when I spotted a woman on the river bank walking a pig on a leash . Turns out that she has had the pig as a pet since it was a piglet and keeps it in the house. Why the leash? So it wouldn’t roll around in the mud and come into the house all dirty, of course. I was in a small museum/bookstore in Lancaster Pennsylvania this weekend. 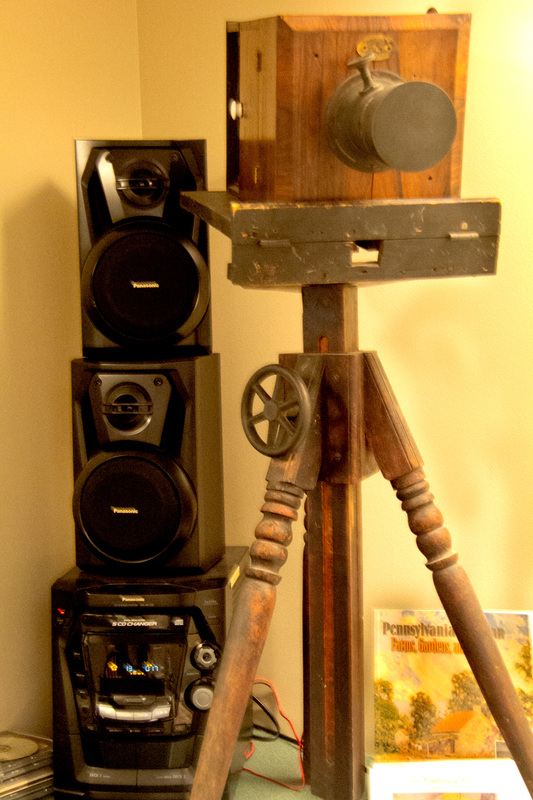 I couldn’t resist the juxtaposition of a 21st century state of the art sound system and a 19th century state of the art image projector . Imagine trying to do a PowerPoint with that machine! !